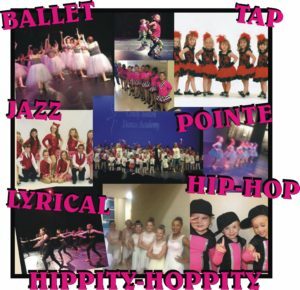 At Cindy Seaton Dance Academy we encourage dancers of all ages and dance levels to come out and enjoy our challenging and dynamic programs. Take the opportunity to learn something new and exciting while bolstering your self esteem and self confidence. Our unique, non-pressure approach to dance ensures everyone has a rewarding, fun experience regardless of fitness level or expertise. 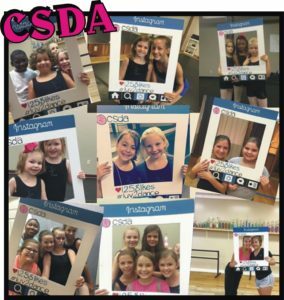 Whether your goal is to find a spot on the competitive dance team or simply to have a great time with new friends, rest assured that CSDA has a program that is right for you. A one hour combination class in Ballet, Tap & Tumbling. This class introduces dance technique, coordination, movement, development, coordination, movement, development, confidence, and self expression in a fun loving environment. Covers the positions of classical ballet, barre, and center work. General introduction to Ballet technique advancing to the next level. Must be in the First Grade. Teaches the student popular dance form with different styles and techniques. 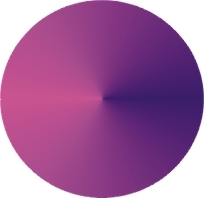 Self-expression, rhythm, and movement to contemporary music. Rhythmic Footwork. Students learn tap technique and enhance rhythm and motor skills. Lyrical is a hybrid combination of Jazz, Ballet, and Modern Dance. It is one of the most popular styles of dance to date. Popular urban youth style of dance with a funky edge. Hip-Hop and creative movement for ages 3-5.